Yet another actual conversation with Kyler. 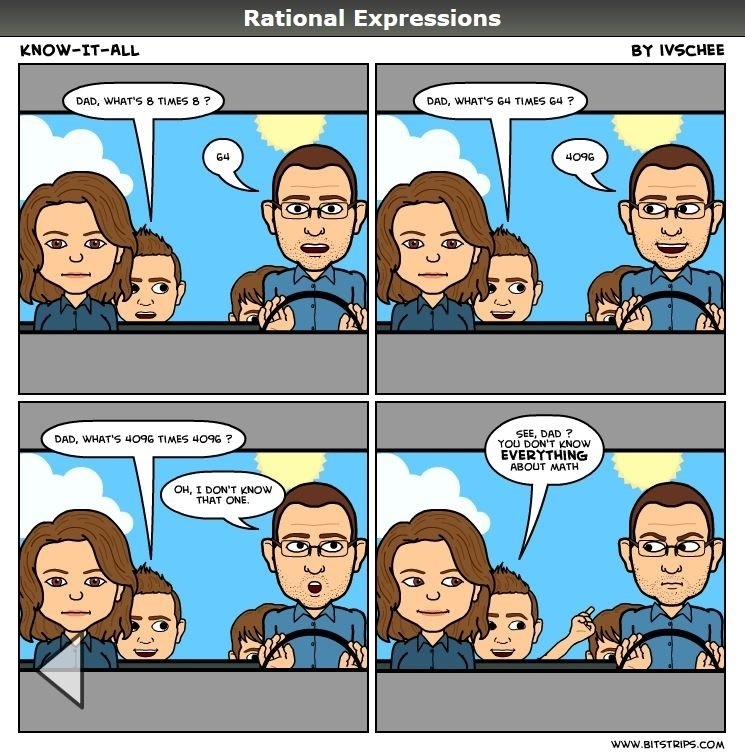 Posted on April 1, 2013, in Rational Expressions - A Comic Strip. Bookmark the permalink. 1 Comment. 16,777,216 – I better memorize that just in case I have that same conversation. Of course it’ll break on the next one!